Pat tofu dry, and saute it in 2 tbsp oil over medium-high heat until it has a slight crust. Remove from heat. 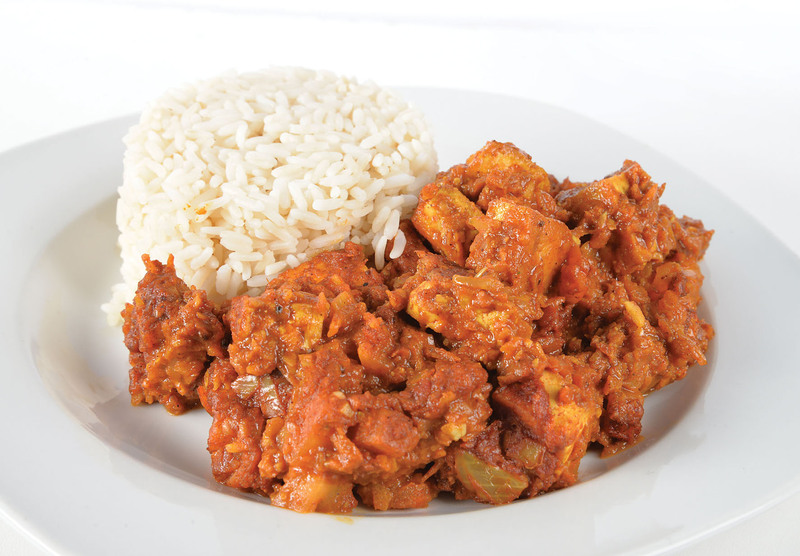 Mix together the ingredients for the vindaloo paste and stir it into the cooked tofu. Set aside. Use the rest of the oil to saute the onions, garlic, ginger and chilies over medium-high heat until the onions become translucent and the chilies are soft. Turn the heat to high and add the tofu/paste mixture. When the pan starts to sizzle and bubble, add the tomatoes and stir to combine. Turn the heat to low-medium such that it simmers for about 5-10 minutes (sauce should be slightly reduced and not runny). Serve over your favourite rice.